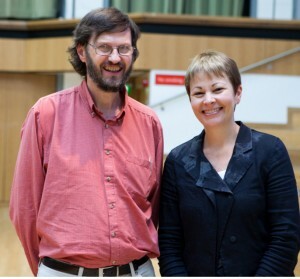 Today Bernard Little, Chair of Sheffield Green Party, called the cuts a callous con trick. You can see his full speech here. Nationally Caroline Lucas has predicted that this will mean a million more people on the dole queue. Meanwhile we have reached the end of the Manor Castle by-election campaign. The leaflets are out, although I have to say I am astonished at the lack of policies on all the other parties leaflets. So please go out and vote tomorrow, and don’t be frightened to vote for change. If you live in Manor Castle your parents and your grandparents probably voted Labour. But it is no longer the same party that gave us the National Health Service! This Labour Party have brought us the war in Iraq, the war in Afghanistan and if they had been elected would be implementing massive cuts too. So please go out and vote positively tomorrow, for a party that wants to create a million new green jobs. This is how the Star reported the by election today. VOTERS in the Manor Park ward of Sheffield go to the polls tomorrow to elect a new councillor to fill the seat of former council leader Jan Wilson. The ward became vacant when the Labour group chief died in August from cancer. The by-election comes at a time when control of Sheffield Council is on a knife edge. The Lib Dems have 41 seats to Labour’s 39, with two Greens and one independent. Former Gleadless Valley councillor and transport spokesman Terry Fox, who is standing for Labour, hopes to capitalise on Jan Wilson’s popularity and anger at the coalition government’s spending cuts, announced today. If he wins tomorrow his party only needs to take one seat off the Lib Dems at next May’s election to be in a position to take control of the council. Robbie Cowbury, who works for a number of local charities including the Stroke Association, is the Liberal Democrat candidate and Christina Stark is standing for the Conservative Party. Graham Wroe, a leader in the Residents Against Station Closure group, has been selected as the Green Party candidate. He said: “The Labour and Lib Dem candidates have previously stood in other parts of the city and have little connection with Manor Castle ward. “I have lived here for 30 years and have a real concern for this community. You can read what I actually said here.